An interview with a Boyle Heights-based community organizer with California Calls, an alliance of 31 social justice organizations across the state that conducts voter-engagement campaigns. 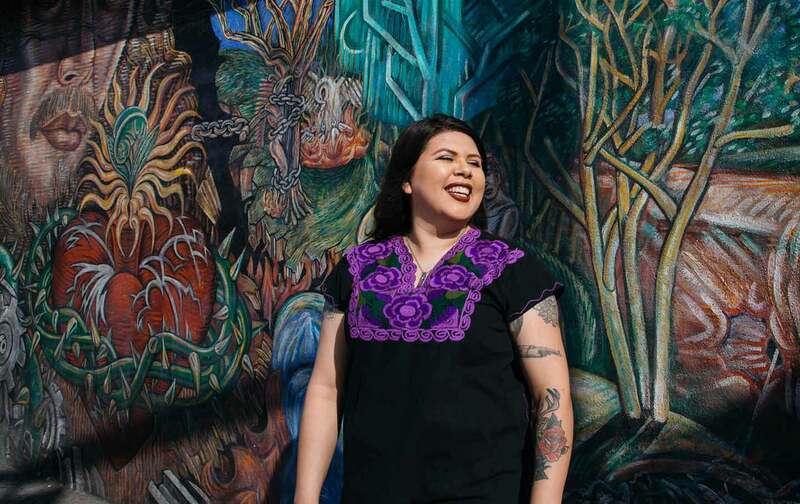 Lydia Avila is a young Boyle Heights-based community organizer with California Calls, an alliance of 31 social justice organizations across the state that conducts voter-engagement campaigns. How did you become an organizer? I grew up in Boyle Heights, which is now 97 percent Latino. In my time it was probably more segregated that that. My high school was 99.7 percent Latino when I attended. I still live in the community—born and raised, never left. I really value that. It’s part of the core of my organizing. I’ve seen so much injustice, suffering, exploitation. But we’re going to put our families first, leave our children with something better than what we had. That’s still the case for me. I want something better for my kids. This is why I fight. This is why my mom left everything behind in her country to come here. Does this period in history scare you? At first [after the election] I was very afraid. After the election, I took my kids to a march, in downtown Los Angeles. It was near the end of the march. There was a big white truck and the people in it yelled, “Build the wall!” at me and my kids. My son, he’s only 10, he yelled a cuss word back. I am an organizer – and have done housing rights organizing, affordable housing advocacy, educational justice organizing. It’s all been based in my community. That’s how I got involved in California Calls, to understand how we needed to have a statewide strategy to really create the change to address systemic problems in our community. I’ve been around a lot of organizers, like Anthony Thigpenn, Dolores Huerta, who understand we need to not just fight defensive battles, but we need to have a longterm view of what it is we want to achieve. When we won Proposition 30, which secured about $9 billion in funding for education annually, I knew it was an important fight – [the money] would be going directly to kids in my neighborhood who could one day go to college and not have the slum housing they live in now. Right now I don’t want kids in my neighborhood to live in slum housing. I could go and do tenants rights work, but that won’t solve the problem of having few opportunities to go to college and having a good paying job with benefits and living a healthy life. What is the California Dream? It’s definitely linked to a state that pushes bold policies forward—free education, universal health care. A situation where every young person in California knows they’re being set up to succeed. That they live in communities where they can thrive, where they aren’t afraid of their families being split up because they’re being imprisoned or because of immigration. That they have good quality jobs, safe neighborhoods and good schools. That’s what my dream is. I am only 33 years old. I know we have planted a lot of seeds across the state through this work, where people are turning cynicism into action. So keep tweeting, Trump.